Professor Day researches and teaches in the areas of Real Estate Finance, Corporate Finance, Taxation, and Legal Education. He has published widely in these areas, in such journals as Journal des Economistes et des Etudes Humaines, Wake Forest Law Review, Urban Law Annual (Washington University), University of Pittsburgh Law Review, Syracuse Journal of International Law and Commerce, Syracuse Law Review, Journal of Corporate Law (Iowa), Legal Writing: The Journal of the Legal Writing Institute and the Real Estate Finance Journal. He has presented papers and chaired panels at law, finance and economic conferences in Europe, Asia and the United States and South America. Professor Day is the director of the Corporate Counsel Program, a curricular program with the college of law that provides law students training in the areas of agreement negotiation and drafting, employment issues and intellectual property practice. Professor Day also co-directed the college’s LondonEx program that provides second and third-year law students an opportunity to study comparative law. Professor Day was a member of the team that planned Dineen Hall, the groundbreaking, 200,000 square feet new home for the College of Law. 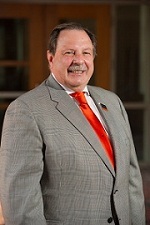 In the 1990s he Co-Chaired the College of Law’s Building Committee. That project resulted in MacNaughton Hall. He has consulted on courtroom design and law school building projects. Professor Day served as Associate Dean for Academics (1987-1989) and Acting Director of the Barclay Law Library (1987). He has also served as Moot Court Advisor as well as coaching appellate and trial teams to national competitions. Under his tenure, the College was also designated the “Outstanding New York State Moot Court Program” by the Defense Association of New York. He recently concluded eight years of service as Associate Dean for Academic Affairs (2008-2016). Professor Day earned his A.B. from Cornell University. He earned a J.D. from New York University School of Law, where he was a law review editor. He practiced litigation and corporate real estate with Morgan, Lewis & Bockius, Philadelphia, PA. He has been admitted to practice in Pennsylvania (inactive), the Eastern District of Pennsylvania, and New York. Prior to coming to Syracuse University he taught at The Wharton School, University of Pennsylvania. Professor Day served as an officer in the United States Army Reserve.